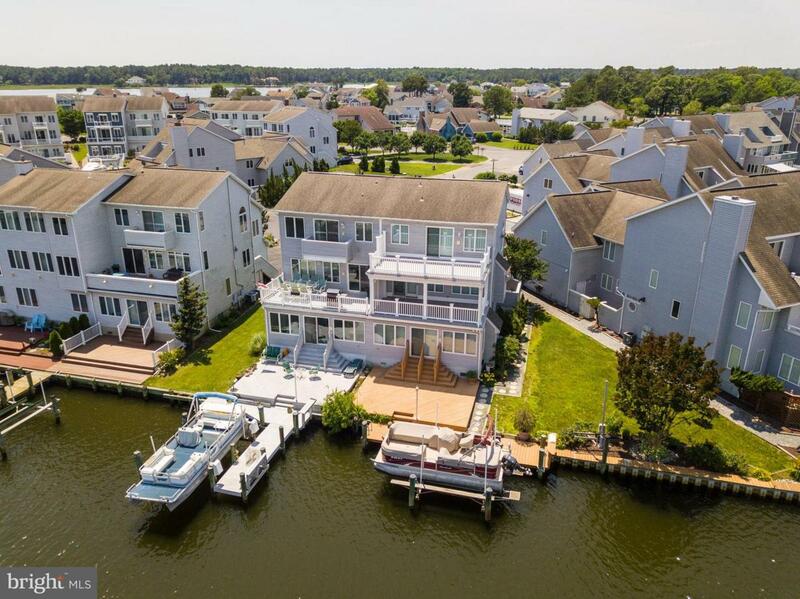 Three-Level Waterfront Townhome with Private Pier, Boat Lift, & Rear Multi-Level Decks! Garage with HVAC has insulated door, walls, utility sink & keyless entry. First level contains a Family room with Kitchenette, Full Bath & newer gas heating stove. Master Suite with private balcony, vaulted ceiling, walk-in-closet, whirlpool tub & ceramic tile. Efficient Gas Polaris Heating. LR contains a 2nd Fireplace!